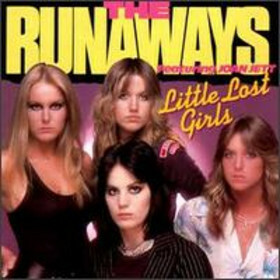 The Runaways-Little Lost Girls. . Wallpaper and background images in the Les Runaways club tagged: the runaways sandy west joan jett lita ford viki blue. This Les Runaways photo contains anime, bande dessinée, manga, and dessin animé. There might also be portrait, headshot, gros plan, and closeup.